An essential part of a project manager’s or team leader’s role is to effectively manage the workload of their team. That can mean many things: distributing resources efficiently, eliminating bottlenecks due to over-stretched team members or working with other project managers to effectively manage resources on multiple projects. So how do you identify who is overworked? What metrics and reporting should you use to determine whether workloads are being effectively managed? And how can technology make this easier not just for you, but also for your team? 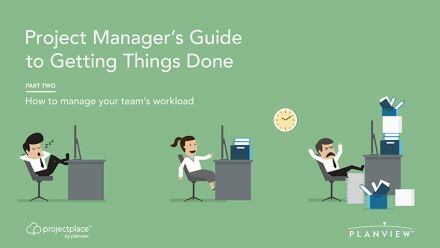 In this eBook, you’ll find tips on how to identify workload bottlenecks, allow your team to raise red flags when they’re over-stretched, and proactively strive towards an ideal workload situation for your team.